Located in the heart of North Chattanooga this historic property is a completely forested area in the midst of the urban heart of Chattanooga. Mature oak and hickory trees dominate a host of other native trees which cloak the slopes of this low ridge. A surprisingly rich bird population fills the forest canopy and rounds out a rich treasure of plant and animal life. Over the course of almost three years The Tennessee River Gorge Trust, the City of Chattanooga and The Trust for Public Land lead this project from conception to completion. SORBA Chattanooga assisted by coordinating trail construction days and providing tools as well as training volunteers for continued trail maintenance. Where are the Stringer's Ridge trails? Stringer's Ridge is located just North of the river in downtown Chattanooga. Trailhead and parking is at the dead end of Spears Ave. Right on Bell Ave, immediately before the tunnel. Left into gravel road for trailhead parking. In 2007-08, Chattanooga’s North Shore was threatened by the potential development of 500 condos on historic Stringer’s Ridge. The outcry of Chattanooga citizens against such a development spurred The Trust for Public Land to launch a 2.4 million dollar capital campaign to purchase 37 acres on Stringer's Ridge. Inspired by the work of TPL and his fellow Chattanooga citizens, Jimmy Hudson, the landowner of these 37 acres, also agreed to donate 55 additional acres of adjacent property to the conservation effort. 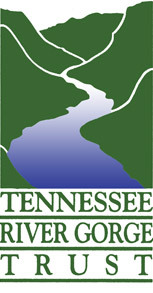 In 2009, the Tennessee River Gorge Trust stepped outside its priority viewshed to become conservation easement holder on the entire 92 acres. TRGT chose to participate in the preservation of Stringer’s Ridge for three reasons: The Trust for Public Land needed a sister organization, TRGT, to act as land and easement holder; Stringer’s Ridge presented an opportunity for TRGT to engage with a downtown population (North Shore) that may be unaware of TRGT’s work; and finally, because Stringer’s Ridge provides a downtown vantage point from which to view the entrance to the Tennessee River Gorge. The ownership of the original 37 acres on Stringer’s Ridge was directly transferred to the City of Chattanooga. Since late 2011, TRGT has acted as an interim landowner while the ownership rights of the remaining 55 acres are also transferred to the City of Chattanooga. TRGT will continue to hold a conservation easement on all 92 acres in perpetuity.